Enter the newest member of the Glossier family; the Milky Oil Waterproof Makeup Remover which promises to gently melt off long wearing makeup like a mixture between a micellar water and a cleansing oil. I bought it the minute it was released and was super excited to put it to the test, so here's how I go on. I can't tell you how long I've been waiting for Glossier to release a new skincare product and I'm very glad it's part of the cleansing family as I've been on a mission to use up the ones I have in my collection and have somehow been left with not a lot! For experience, I knew that after a couple of days use, I would know whether this worked or not, so I wanted to let you know my first impressions in today's post. I've tried this with a cotton pad like it instructs you to do as well as giving it a go with just the use of my fingers. For me, I prefer to use this whenever I have ultra-heavy makeup on all over my face or I just use it for getting rid of all my eye makeup - which is does superbly. The reason why I wouldn't use this all over my face every single day is that it acts in a similar way to a micellar water, but the oil inside of it can leave your skin a little greasy which can always be fixed with a second cleanse, but it's one to note. On top of this, I feel like it needs to be said that for a "micellar water" type product, if you're looking for a Garnier sized bottle then you'll be left disapointed, but as I mainly use this as an eye makeup remover like instructed, it's a good size in my opinion for this. It gets rid of all of my day to day eye makeup with just the use of one cotton pad, so it gets a huge thumbs up from me! The oil in the formula breaks everything down and I've found my skincare routine is over much faster now I have a good eye makeup remover to hand. 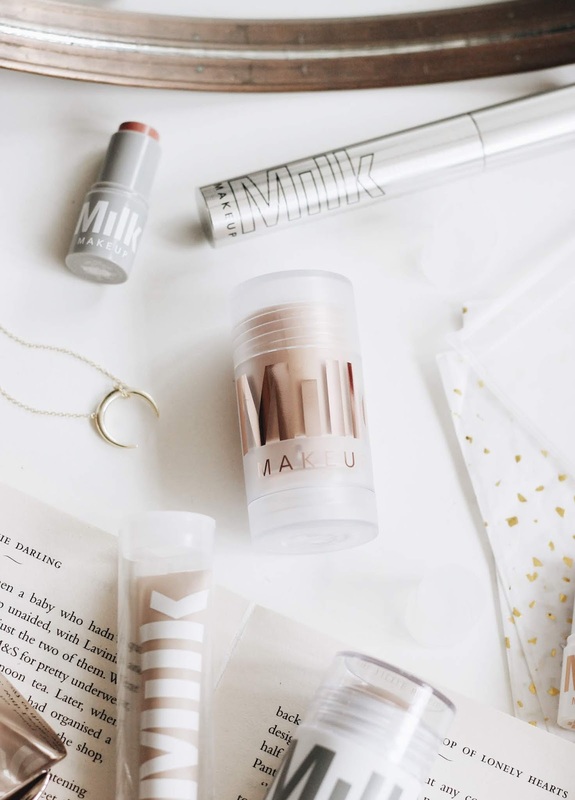 Have you tried the Glossier Milky Oil? As you're reading this, I've taken a spontaneous trip away for the weekend and have tightly packed my makeup routine into one reasonably sized bag. That paired with the sudden warm weather we're having, it got me thinking that it's about time that I do a transitional makeup bag tour especially as the first of March is when I allow myself to get excited for the new season. I've been using the Pixi Makeup Fixing Spray* underneath my foundation and have noticed how well my base wears when I use it. It prolongs longevity when used before, but helps your makeup look fresher when spritzed over the top too. 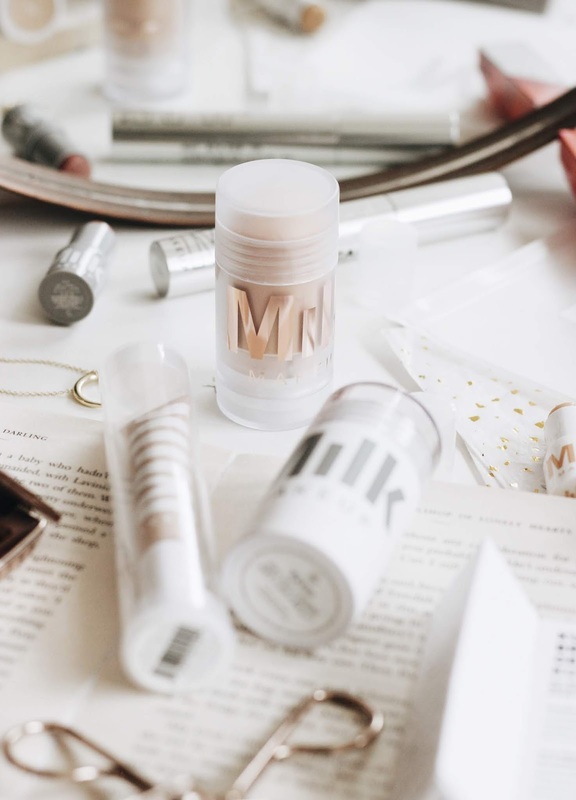 For my base, I've rediscovered the Bare Minerals Complexion Rescue*, a very well loved and use product in my collection. I got kindly sent over a package from them and inside was this and I knew instantly it had to be added to my makeup bag. 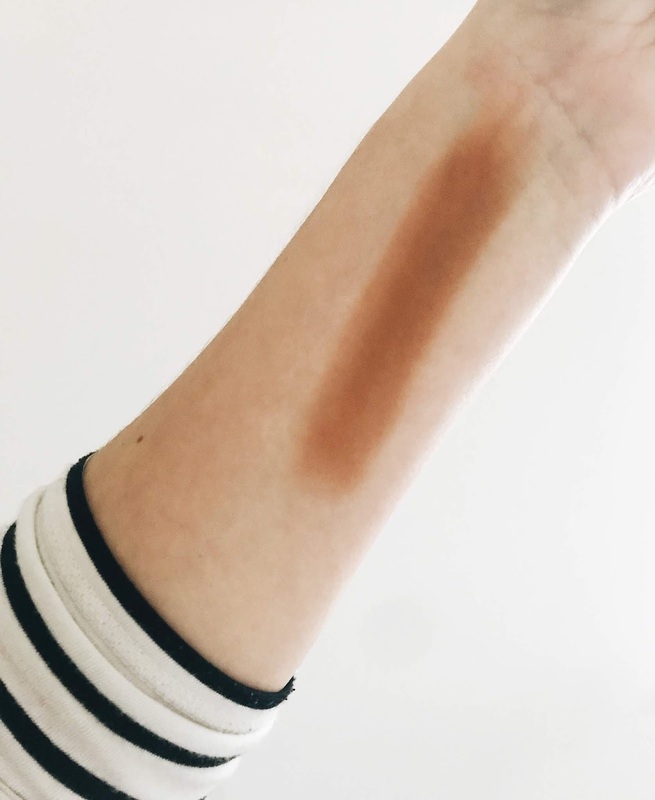 It's lightweight formula with a light to medium coverage leaves the skin looking radiant and I actually wind this wears better as the day goes on too - perfect for everyday wear. When I first starting using the Nars Soft Matte Concealer I liked it, but didn't love it. It offered a good amount of coverage, but I wasn't sure if my skin wasn't prepped, primed and moisturised enough, but I would find that it looked a little cakey around my eyes and then as the weather started getting even colder, it started to separate on dry patches on the skin. With this being said, I gave it another shot this month and I'm so glad! It works well with a lighter base as you can really press it into the skin with a beauty blender and it helps to cover redness and blemishes. Depending on the day and how my skin is feeling I then dust a little bit of the Huda Beauty Easy Bake Powder* over my t-zone to reduce shine and smooth the skin under my eyes. I actually do this step before using my Milk Makeup Baked Bronzer as I find it works just as well over powder product and still looks effortlessly flawless. This cream bronzer blends into the complexion easily and is a great base if I want to build up to give a warmer finish to the skin with a powder. I've got my Anastasia Beverly Hills Amrezy Highlighter* back in my makeup bag too and I can start recommending it again as it's now back in stock. 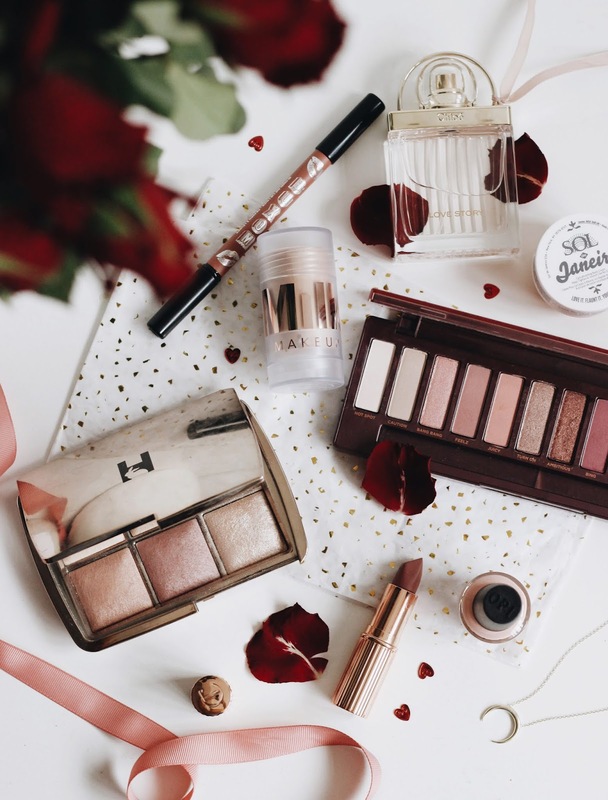 It's perfect for this time of year going into Spring as the champagne hue looks beautiful on the skin and goes well with a lighter base as well as a heavier one depending on my mood. The rest of my makeup pretty much has stayed the same; liner, mascara and mascara, experimenting with eyeshadow from time to time. What products are in your makeup bag? I've always been intrigued by natural skincare especially when I see people mixing together ingredients that you can find in your kitchen. In the past I've seen the benefits of what fresh ingredients can do as I've used it on my hair before similar to this Hair Restoring Mask, but never on my face. That was until recently when Love Fresh Berries challenged me to try out one of their berry beauty recipes and I've been super surprised by the results. 1. Boil the kettle and brew your green tea. 2. Add all the other ingredients into a blender. Cut the teabag open and remove the green tea leaves to the ingredients in the blender. 3. Blend all the contents for 15-30 seconds or until smooth. 4. Apply a few even layers of the mask. Leaving for 5-10 minutes until it slightly dries. 5. Remove with a flannel and follow with a face oil or moisturiser. As a regular drinker of green tea, I was pleased to know that they also have antioxidants and soothing properties when it comes to skincare too. Honey is one of the skincare ingredients in this recipe that I have used before in products and my complexion always thrives after use as it's anti-inflammatory which reduces redness of the face, whilst the anti-bacterial properties helps to banish blemishes and works well in conjunction with the cinnamon which is also good at combatting spots. The best part of the ingredients in my opinion is the berries as not only can you eat them as you're blending up the face mask, their high in water content means that they add hydration to the skin, whilst Vitamin A and sailcylates target breakouts. You can read all about the benefits of each berry here. I have put together a full video of this recipe up on my Instagram and don't forget to check out Love Fresh Berrie's Instagram which is full of delicious treats too. I'm probably getting ahead of myself here, but with the slightly warmer weather upon us, I'm starting to feel excited about Spring being around the corner. I recently looked back on the last few months since Winter properly kicked in; analysing what products I've been using the keep dry skin patches at bay. 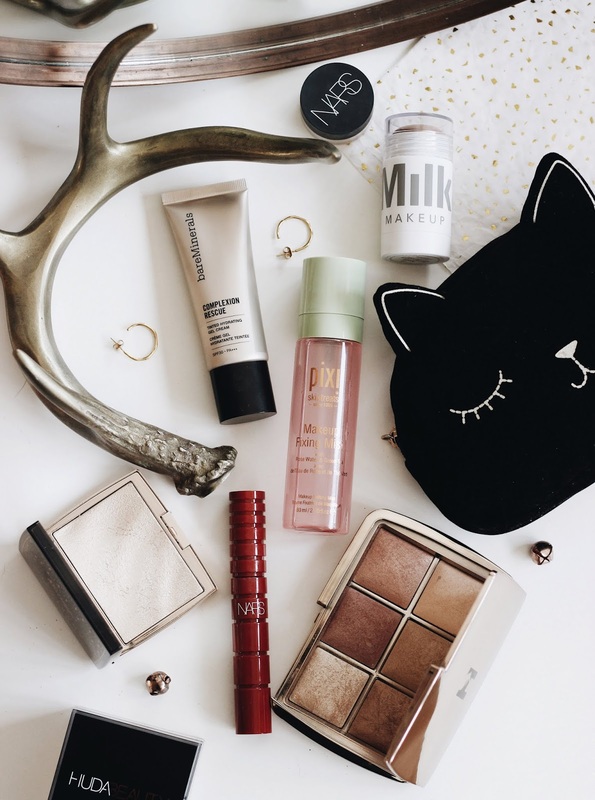 I wanted to put together a full list of the products I've been relying on because although I'm prone to a dehydrated complexion, I feel like I've battled the cold weather perfectly this year. 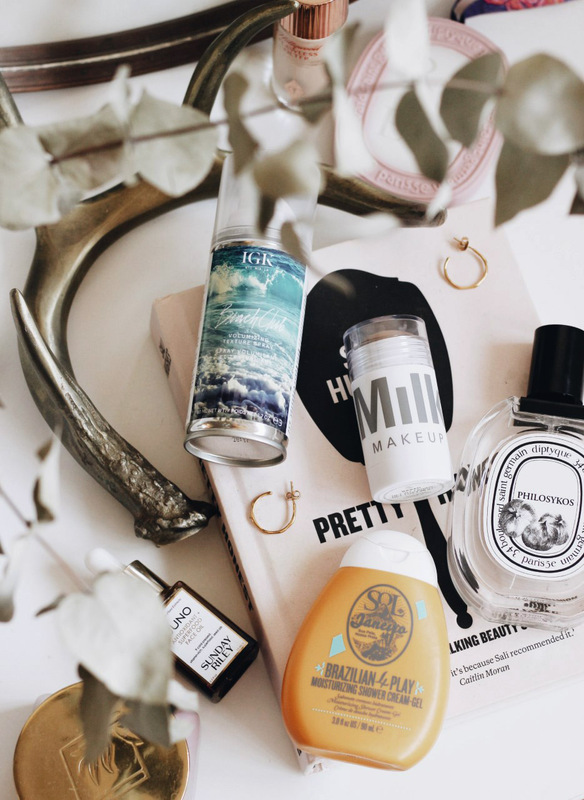 For skincare, I've been loving face oils to keep my skin in tip-top condition like the Drunk Elephant Virgin Marula Oil* which I then use with the Sunday Riley Tidal Water Cream* for a nourished finish. 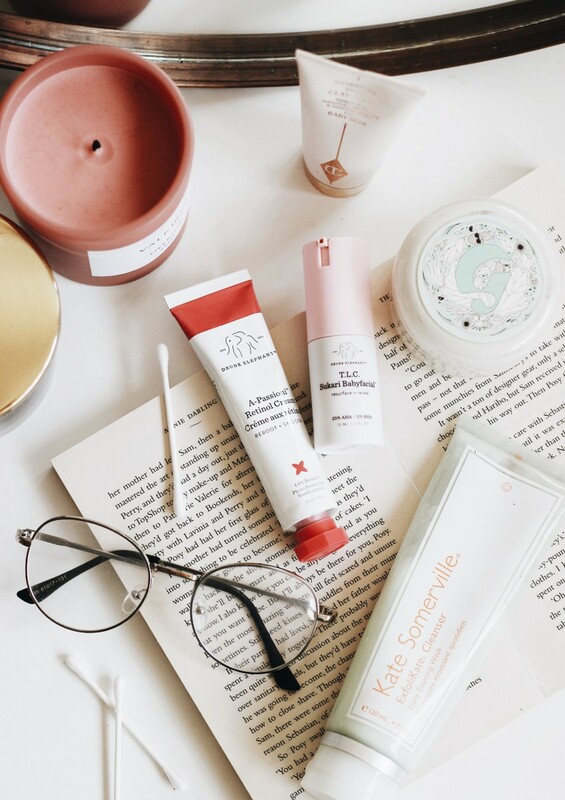 I tend to keep everything pretty much the same, but I do like to concentrate on massaging all the products in and using face masks regularly. Not only does your face need hydrating in the colder months, but your hair does too. The Olaplex No3 Perfector was one of my favourite finds as it has improved the overall texture of my locks. Although it's directly used to target dehydration, I have found that my hair looks a lot less dry and in overall better condition. One of the problems that arose this season was very dry elbows, knees and hands. I tried a lot of solutions to the elbow dry patches, but nothing seemed to be working until I scrubbed them with the Herbivore Coco Rose Scrub followed by applying the Embryolisse Lait-Crème Concentré* which traditionally is used on the face, but I love using it all over as it smells super fresh and feels great too. The other product I've been using on my body is the Sol De Janeiro Bum Bum Cream which I can't believe I'm still using the smaller size of as I have been using it a lot, but a small bit goes a long way. To be fair I use it whenever I want to make myself feel better and smell great too alas sparingly. What products have you enjoyed using this Winter? 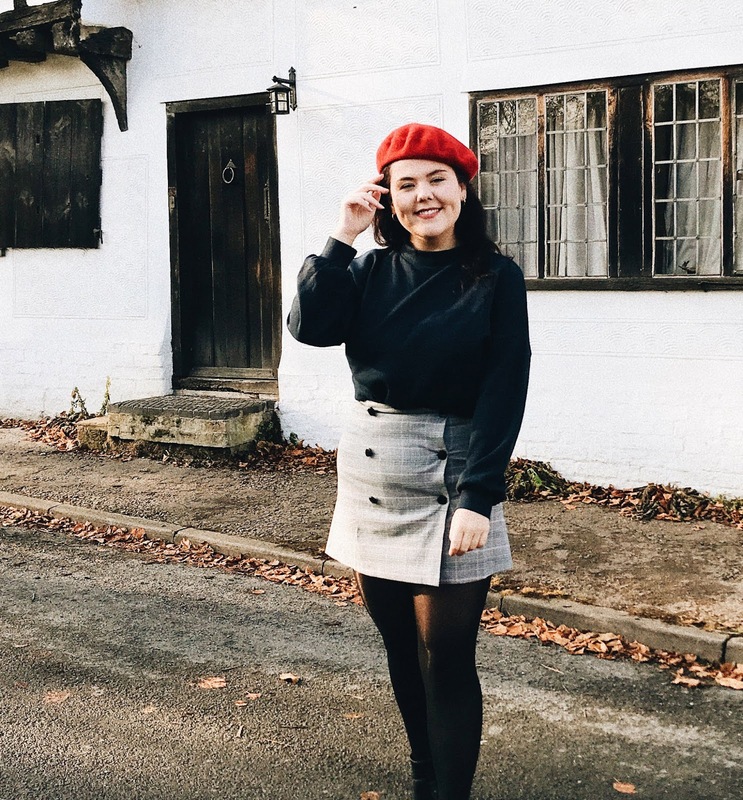 Ahhh berets - the staple of my Autumn and Winter wardrobe. I've been donning the same red hat for the last few months and I'm looking forward to seeing how I can style it in the upcoming months too. I wanted to right up a blog post dedicated to one of my favourite outfit accessories for a while now and I thought with the weather slowly getting a bit warmer, now was the perfect time. I personally like wearing them with all black outfits as this adds a pop of colour and really makes it stand out. Paired with a dress or skirt I find that this adds a cute twist, but of course the main reason I wear one is to hide any hair woes I've got going on. Do you enjoy wearing berets? 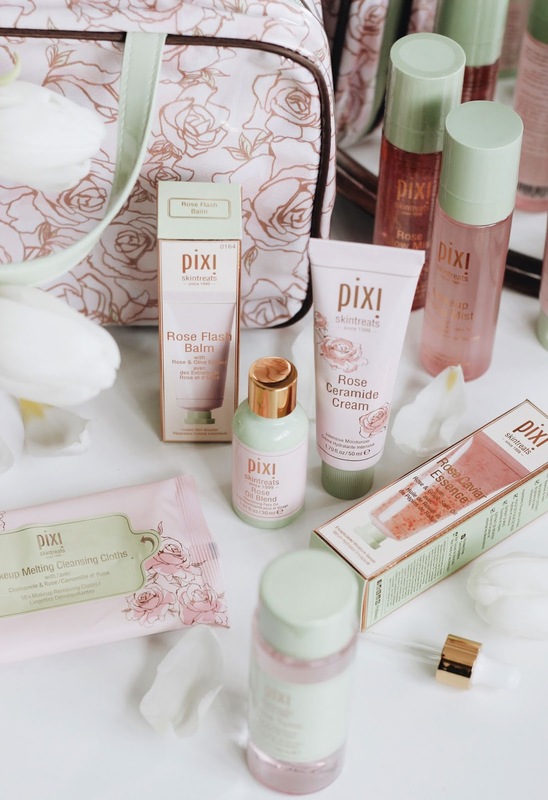 Last week Pixi kindly sent over a personalised travel bag packed full of their rose infused range similar, but not identical to the Ultra Luxe Rose-Infused Skintreats Set* that they currently sell. Inside were nine products to cover the whole of your skin routine from cleanser to setting spray. Today, I wanted to give you a little run down of my initial thoughts on the range, what I'd recommend and a little information about their new collections. 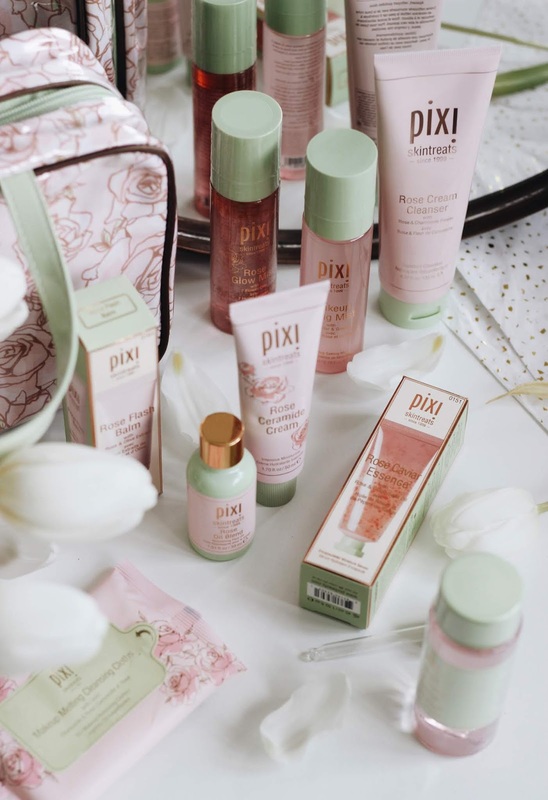 Not long ago now, Pixi decided to extend their ranges including the must loved Glow Tonic and Hydrating Milky collections, as well as a wide range of new products for their Vitamin C and Collagen range too. These included things like a Vitamin C Juice Cleanser, In-Shower Steam Facial (how amazing does that sound?!) and Glow Tonic Cleansing Gel. However, today I am focusing on only one of their new collections - the Rose Infused one, which for me, a rose lover, was one I was very excited to try. Inside the parcel was the Rose Caviar Essence* and Rose Flash Balm* which I've actually tried before, so I can already can my thoughts on the two. The essence is great for adding another layer of hydration to your skincare routine with it's gel-serum formula that works amazing underneath your makeup too when you want something lightweight. The balm is a lot thicker as it works as a moisturiser, primer and mask too, but I don't get as much use out of it as I used to as I don't have somewhere to fit it in to my routine as of yet. Another product I've tried from this range is the Rose Tonic* which I always say is an underrated Pixi product of theirs and is great if you're not a fan of acid toners as this one helps to reduce redness and calm your complexion too. Then we have the face sprays which I've had a bit of a mixed experienced with ever since I tried their Glow Mist* which ended up causing a lot of breakouts and I had to give it away. With that being said, I knew that I wanted to be careful around the Rose Glow Mist* as I suspect I'm going to get the same bad results from this, but I don't want to judge it until I've tried it (which I'm too scared to!). The Makeup Fixing Mist* on the other hand has already made it into my daily makeup bag and honestly I'm so impressed already. Using it underneath my makeup prolongs makeup wear and then I spritz it all over my face at the end to bring the look all together as well as making it look fresher and preventing the cake face from too many powder products. I've also been using the Rose Cream Cleanser* every night since I received this parcel which hasn't been for long enough to form of a solid opinion on it, but so far so good. It works as a second cleanse, foaming up ever so slightly without drying out the skin and despite it's thicker texture, it hasn't broken me out. I've got high hopes! I was super excited to try the Rose Ceramide Cream* as I've heard some amazing things about it, but I was expecting it to be thicker which I'm actually glad it isn't. The packaging which feels like an old toothpaste tube makes me feel happy, but of course it is what that's inside that count. It's nourishing without being greasy or sticky, so I'm actually really enjoying it more than I thought I would - I'm excited to try it out more. I've been using it in conjunction with the Rose Oil Blend* which so far I've had better luck with than their Jasmine Oil which just never took off in my skincare routine. Once again, I'm sure to give you an update after a few more weeks of use, but I have to comment on how amazing it smells. 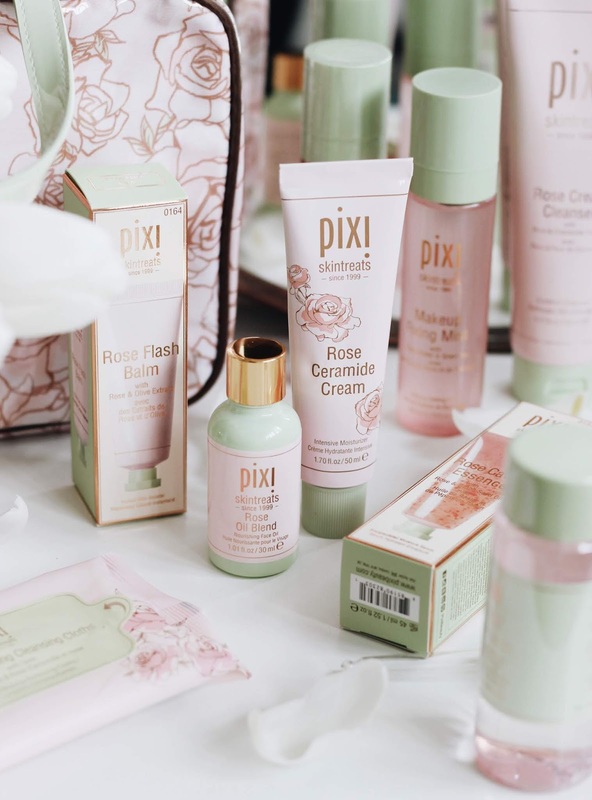 have you tried any of the Pixi Rose Range? The other week I was hit with the inspiration to update some of my least favourite corners in my house by rearranging items that weren't being seen enough, stacking up books and buying a few plants in the process. During this reshuffle, I purchased this H&M Wool Blend Rug (which was super affordable for the quality 10/10 recommend!) and suddenly I had the desire back to finally get our bedroom finished. 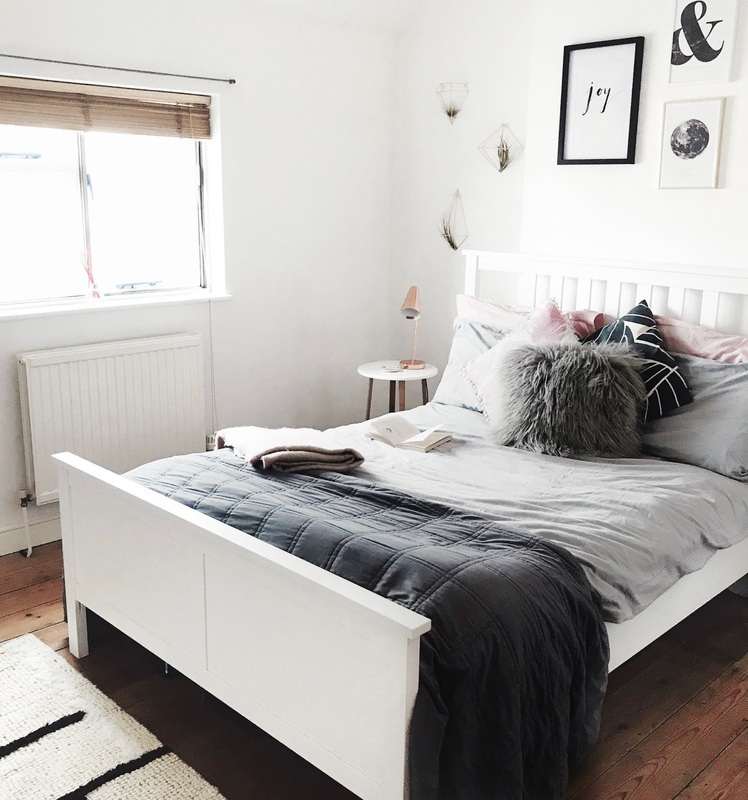 As you can see by the angle I've photographed for this post, my bedroom has a neutral theme with pink accent cushions to compliment the grey bed linen as well as having brass plant holders on the wall to fill the space. Our gallery wall is complete and now with the new rug, I feel like we no longer have a empty area at the end of our bed. The only corner that isn't complete is the one that is probably the most noticeable as it's the first thing you see as you come up our stairs. This is where I've started researching different homeware pieces to have there including a freestanding mirror and I even contemplated having a chair there at one point. 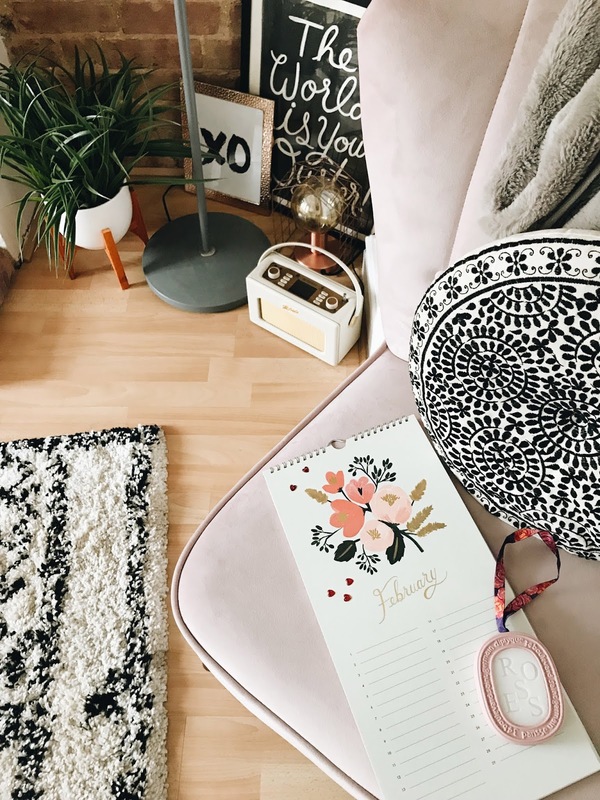 Today I wanted to put together a little wishlist of some gems that I've been eying up for throughout my home, as well as pieces that I think would match what I want from my bedroom in 2019. At the moment, I'm leaning towards having a few hanging plants coming from the ceiling with either a mirror up against the wall to give the illusion of a bigger bedroom or adding some shelves with lots of trinkets on. Is there anything here that you have your eye on? 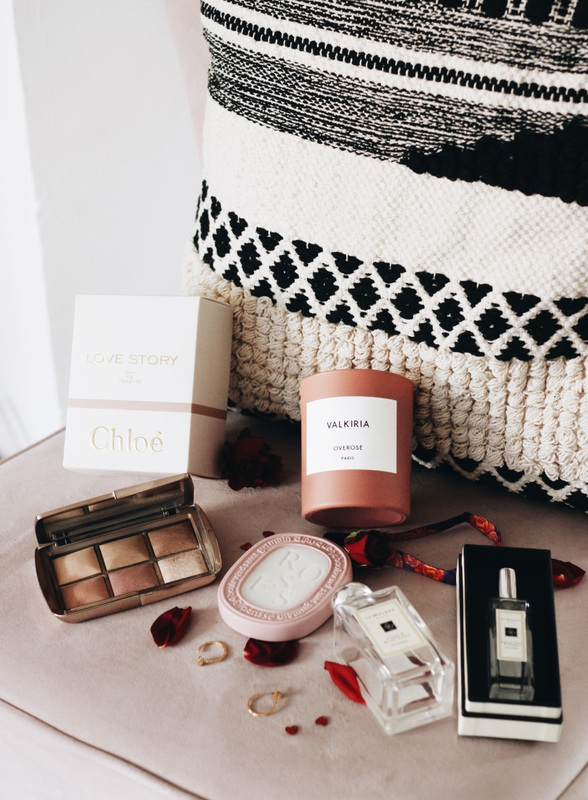 After the success of my Valentine's Day Fragrance Gift Guide and with a week to go until the big day, I wanted to put together a more general one for those who may be struggling in other areas such as lingerie, fashion and beauty. Of course it goes without saying that there may be a heart shaped themed going on, but I wanted to give a good range of items to treat yourself, a friend or send to a love one this v-day. Space NK are currently offering £15 off every £60 spend and I think it's about time I take full advantage of it to treat myself. 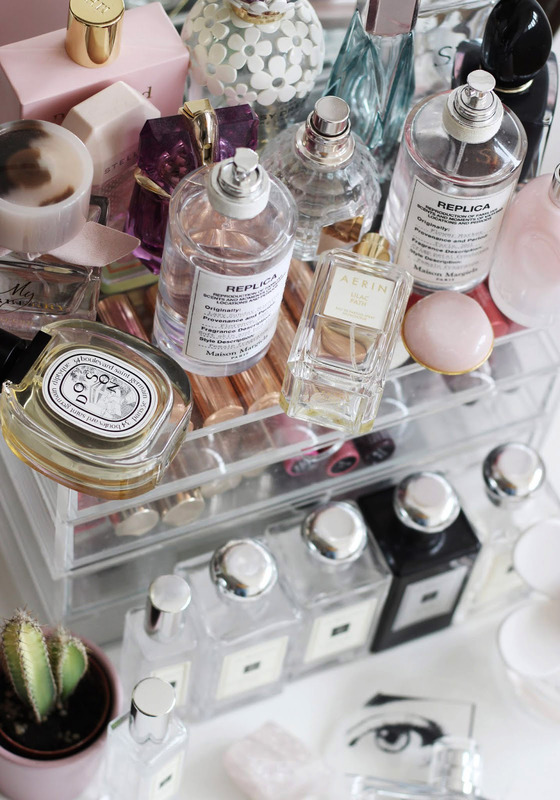 The Diptyque Eau Rose Scent has been on my wishlist since I spritzed it plus their accompanying candles smell just as divine. The Rose Scented Oval* which World Duty Free kindly gifted me has also cemented how much I need to buy it. Alongside perfume, I think that a new makeup palette would go down a treat too like the Nars Skin Deep Palette. Perfumes, jewellery and lingerie are always a good option for a Valentine's Day gift. I feel like Missoma are always a good shout, but there's still some great more affordable options on ASOS too including this Gold Plated Initial Necklace and Liars and Lovers Coin Necklace which looks a lot more expensive than it is. 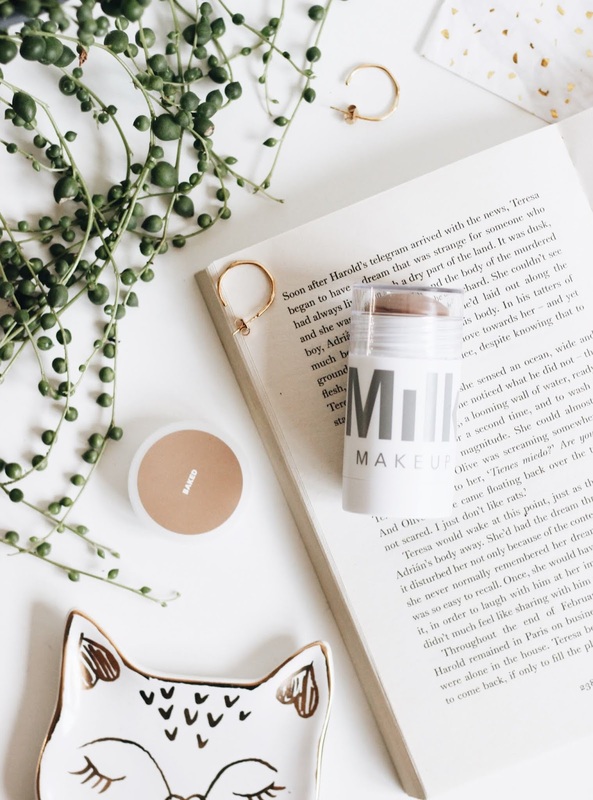 My most lusted after product from Milk Makeup has to be the Matte Baked Bronzer which promises to deliver a bendable bronzed tint that perk up the skin and define the cheekbones in the process. It sold out pretty quickly on the site, so I'm glad I managed to snap one up. I think this will be particularly good come Spring and Summer, but of course I put it straight on my face as soon as it came. Next up is the Luminous Blur Stick, the radiant sister of their original Blur Stick, a much loved product that helps to minimise the appearance of pores and make the skin look smoother. I'm looking forward to giving this a try more. (I have a mini of the original too!). I've already put everything on my face and although I can't see any glitter particles, just a light shimmer in this formula, I'm not sure if it's done anything to the overall look of my complexion. I bought the Kush Fiber Brow Gel on a whim after I ran out of all my tinted brow gels and I wanted something that would make my brows look fuller and more defined. On reflection, I probably should have gone for the Gel Brow instead as I tend to get more use out of pencils, but I'm looking forward to seeing whether this one lives up to the hype and whether it's beats Glossier Boy Brow. After the first use, it's safe to say that it's pretty full on in terms of pigmentation and the brush can be a little tricky to use, but fingers crossed I get used to it. The Kush High Volume Mascara is a very well loved and rated product, so I always wanted to give it a try. My other mascaras are slowly coming to the end of their lives, so it felt like the right time to give this one a try. It promises to make the lashes look fuller and deliver a nourishing formula in the process - if it lives up to my expectations, it may be quickly put into my top mascara picks. I was hoping that the Sunshine Skin Tint would make it's way over to the UK, but it didn't, so the Flex Concealer was next on my list. I was worried that I wouldn't get the shade right as I always do when shopping online, but I went for fair after comparing swatches online to some of my other favourites. I was expecting this to be more of a light, buildable coverage, so was pleasantly surprised when it came out with a lot more coverage, so I can't wait to fully give this a try. I then got the free gift set trio that came with spending over £40 and it came with two miniatures of products I already have, but then a mini Lip and Cheek Stick in the shade Werk which has completely surprised me. They're a good size to toss in your handbag or to just give the product a good try. 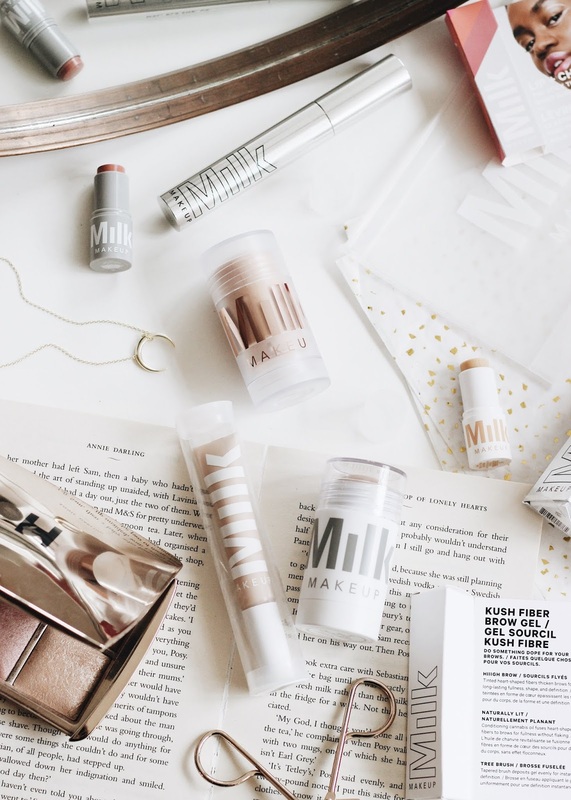 What do you recommend from Milk Makeup?